IPSC! THE SAFEST OUTDOORS RECREATIONAL ACTIVITY. GENDER NEUTRAL AND DEFINITELY NOT AGE DISCRIMINATING. Allman's Gallery Linger a while it's worth the time. Farm Machinery Repairs and Parts supply. PAL Safety courses. Hunter Ed. 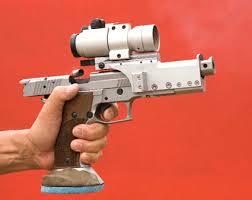 Firearms appraisals, verification of firearms. Looking for a gun club to belong to. 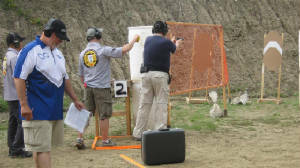 Gun clubs that offer junior programs. 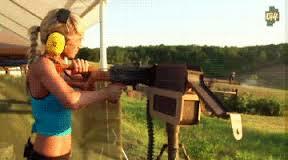 Firearms recreational shooting has become a very popular sport, it is gender neutral. 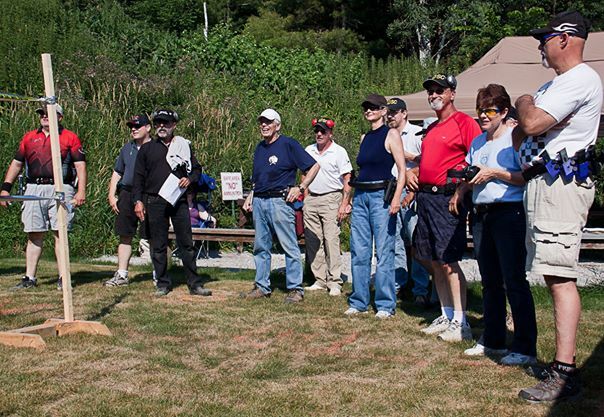 In addition, it encompasses individuals of all ages.This shooting sport is very safe when conducted and organized by a club. Most definetly an approved controlled shooting facility. Looking for a great club to belong to, just make sure you do the neccessary investigation, check out a few clubs before you make a decision. Do not assume that a club looks good, check it out thoroughly before you make that decision, a club must be able to fulfill your reason to belong. Make certain that you are totally satisfied before you drop in. SHOOTING IS THE SPORT OF OUR CHOOSING, UNLESS WE ARE PREPARED TO PLAY IT SAFELY, THEN I AM AFRAID IT WILL NOT SURVIVE. WE MUST BE DILIGENT AT ALL TIMES, LOOK OUT FOR OUR FELLOW SHOOTERS. CORRECT POTENTIALLY DANGEROUS SITUATIONS IMMEDIATELY. Please feel free to ask any question, remember there is no such thing as a dumb question. Make every effort to understand the firearms legislation before you do something regrettable. These news flashes are intended to bring you up to date on the most recent events around the globe. The gun experts again. More than a billion firearms, 857 million owned by civilians. UN anti gun. Cost of confiscation NZ. Because of one idiot. 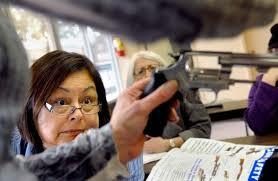 Law-abiding firearms owners are in a constant struggle trying to hang on to their firearms. Click here. Do you have a business or service you would like to advertise? You decide the page you would like your ad to be placed. For more information. Click here. Do you have an opinion, would you like to share your thoughts? More. 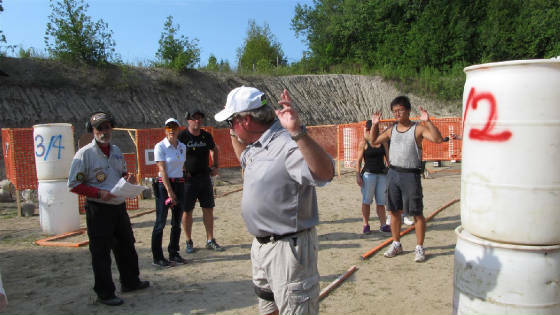 Are you interested in taking the Canadian Firearms Safety Course? Challenges are no longer available. New: Introducing the “Tri Package” Weekends, Saturday is the PAL NR- Sunday is the Hunter Ed, following Friday evening starting at 17:30 or weekday of choice is the R PAL. Follow the link below for details. Both Non Restricted and / or Restricted avaialble. Courses delivered by accredited hunter-competitive shooter. New for 2015, individuals intrested in obtaining their PAL restricted can now do the four hours evening course. Proof of successful completion of the PAL non restricted course must be submitted . These courses are only available to individuals who have successfully completed the PAL non restricted course within thirty (30) days. Weekday courses available for Non Restricted/Hunter Education (one stop). Fast forward to Safety course page. If you are a firearm owner, we share a common bond. Your concerns, reflect our committed efforts in helping each other understand the laws and play the game safely. Responsibility is committing yourself to learning to shoot properly and safely, at all times, whether you are just learning to shoot, or competing against the world's best. While responsibility isn't something you can buy in the store, you can learn it and learn it properly. We must be prepared to teach interested youths the discipline, patience, self control and responsibility that comes from mastering the shooting sports. Now that the long gun registry is on its death bed one wonders if there are hidden agendas being concocted by the RCMP. Based on previous flip flop encounters firearm owners have experienced caution should be seriously considered by every law abiding gun owner. 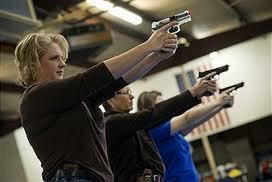 Remember there is always a correct way and safety rules when handling firearms. Exercise caution at all times. AMMUNITION RELOADING, YOU CAN SAVE A BUNDLE AND HAVE FUN AT THE SAME TIME. More. HUNTING NEWS, VIEWS, LINKS AND RELATED ARTICLES. Courses are combined or stand alone. PAL SAFETY COURSES AND HUNTER ED. Stance is individual and very personal; it must be natural and consistent in alingment. With constant practice one should be able to accomplish the same natural alignment at each and every occasion. Be it the weaver, isosolese, et cetra; be prepared to spend time at the range to perfect it. Remember that you are responsibile for your firearms 24 hours a day.